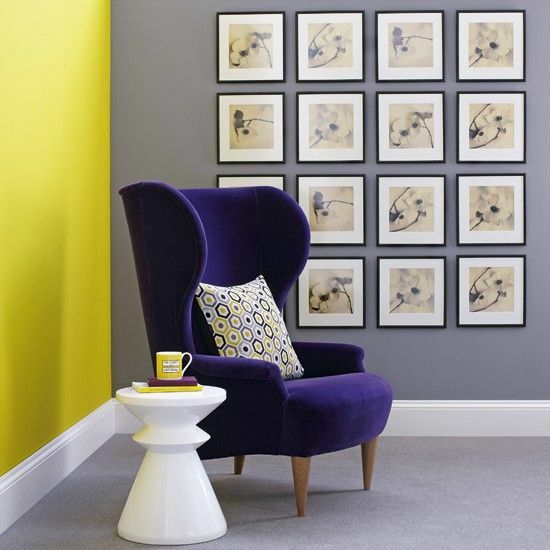 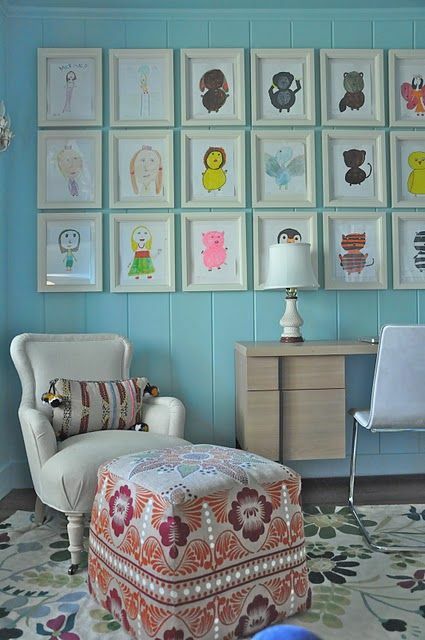 Plain walls are boring and there shouldn’t be anything boring in your home décor. 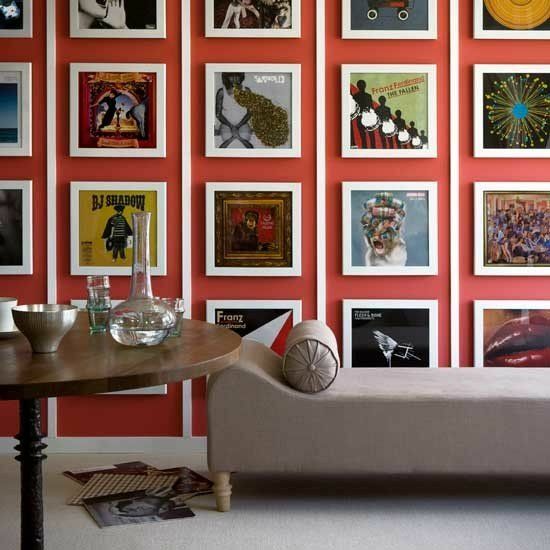 You can decorate a plain in different ways: add open shelving, hang an oversized wall art, use photo wallpapers or just paint it some bold color for a statement. 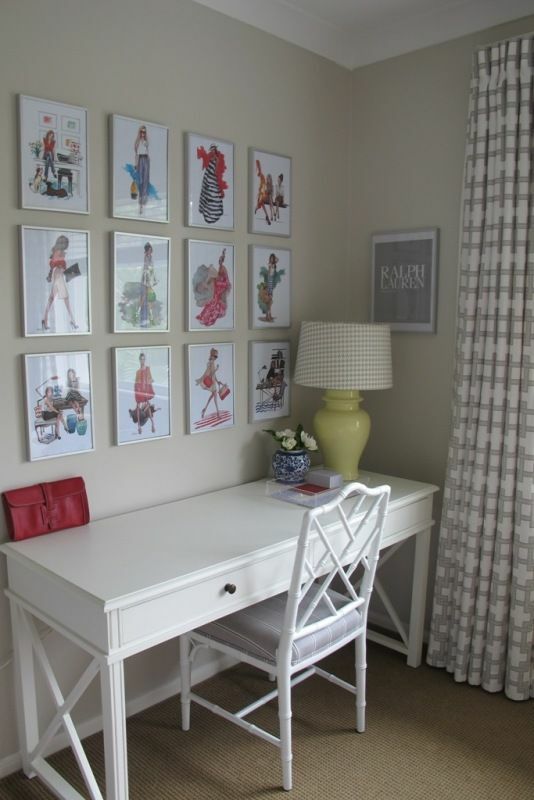 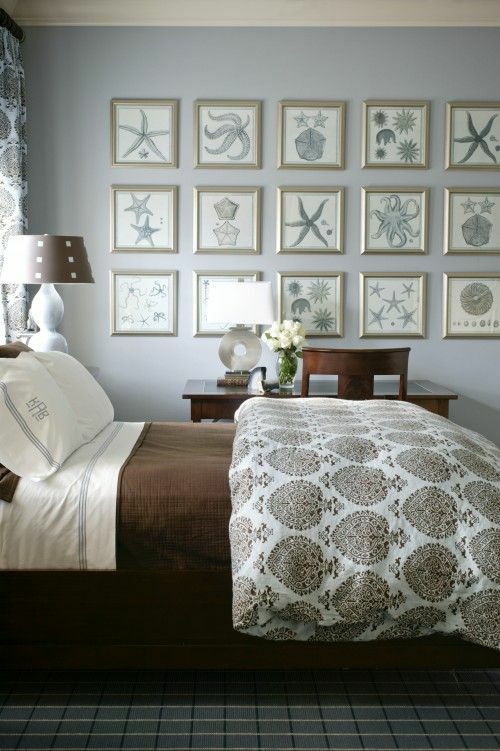 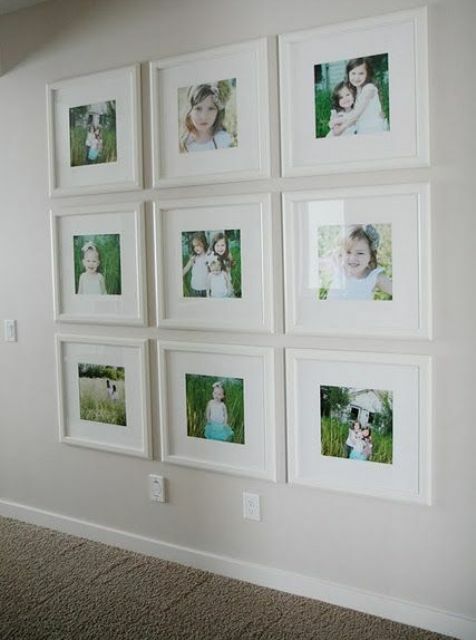 Another, super popular idea, is decorating your wall with a gallery of pictures, photos, wall art pieces and other things that you want to display. 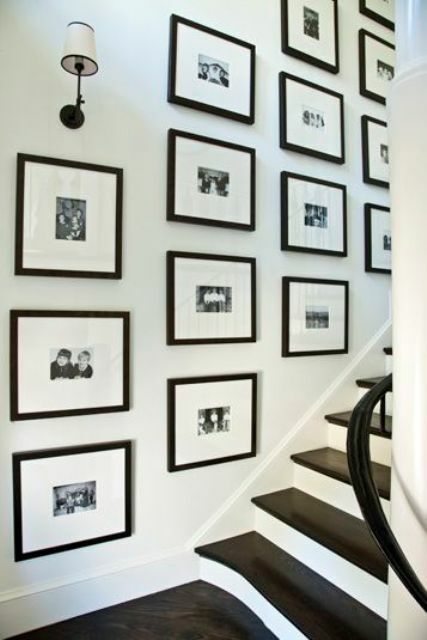 Creating a gallery wall is a perfect idea for any kind of space: a living room, a bedroom, a home office, a kitchen, an entryway and so on. 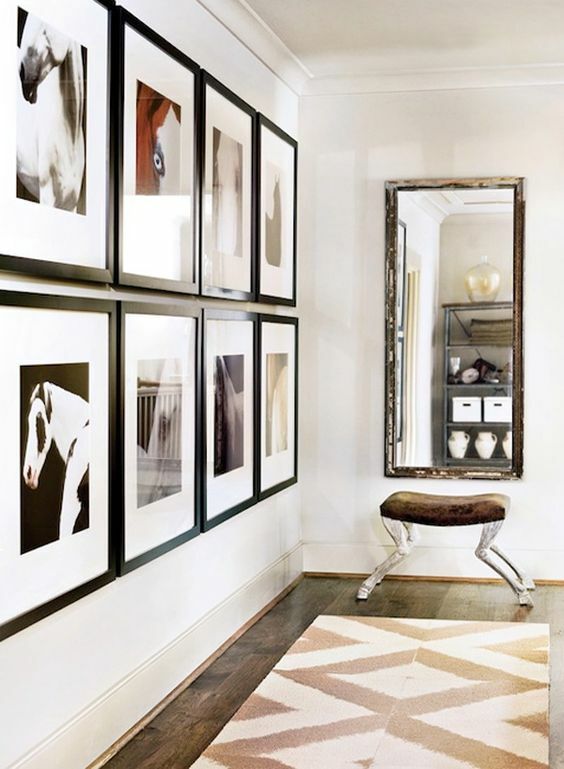 Whether it’s big, small or somewhere in between, creating a gallery with your favorite prints and art pieces can instantly elevate the style of any space. 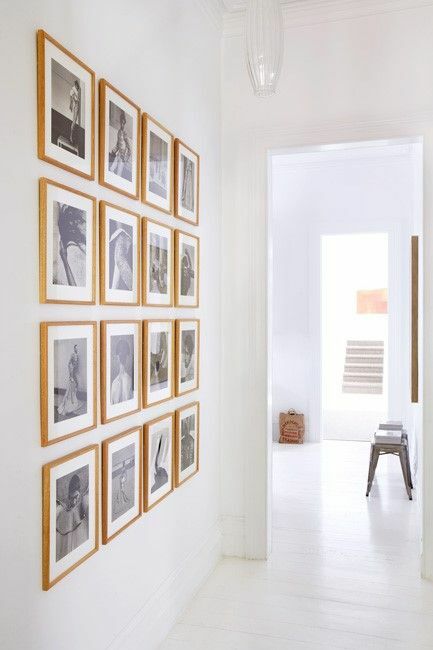 There are a lot of types of design of such a gallery: matching and mismatching frames, floating frames, no frames, vintage and modern frames, same and different size frames but today we’ll have a closer look at the most popular and modern gallery wall of frames of the same size. 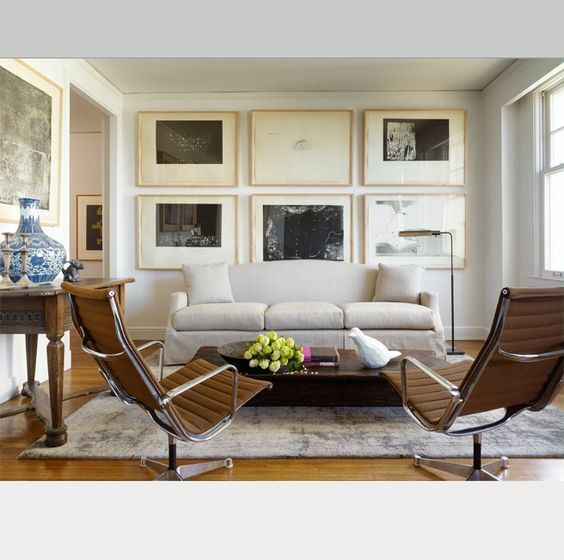 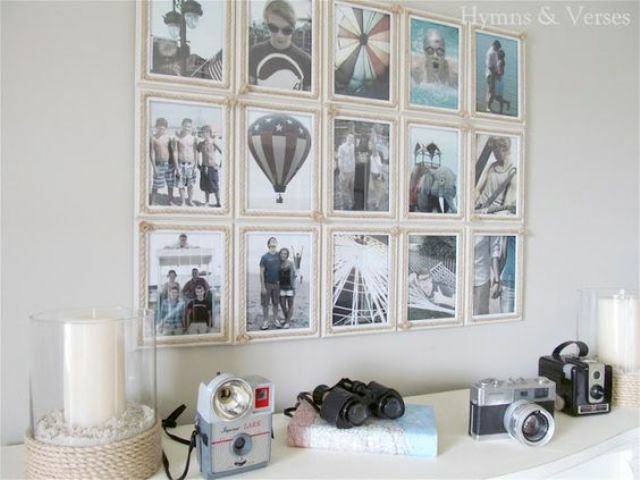 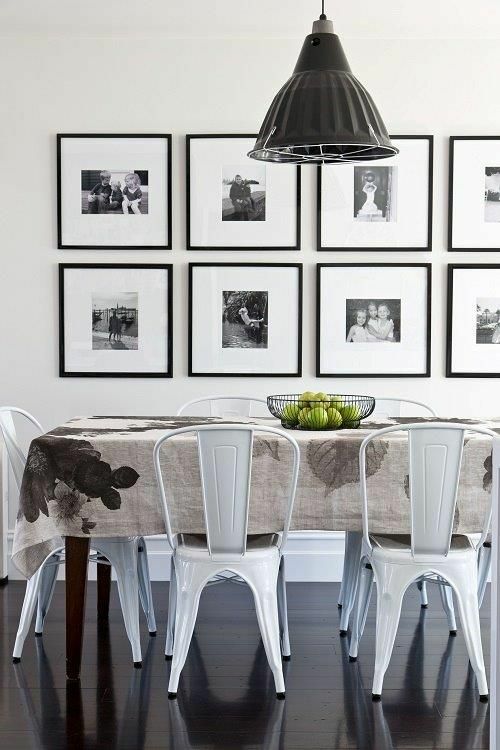 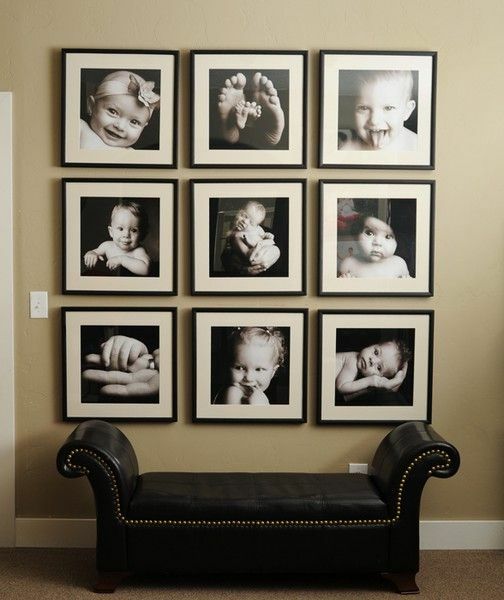 Such a gallery is rather easy to create, you need just to choose a type of frames you like and buy as many as you want. 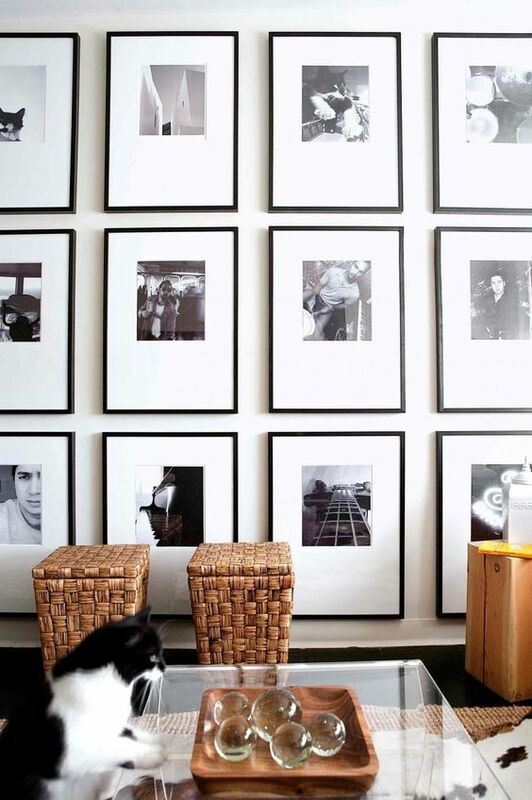 Print your pics and decide on the mat – do you want it or not? 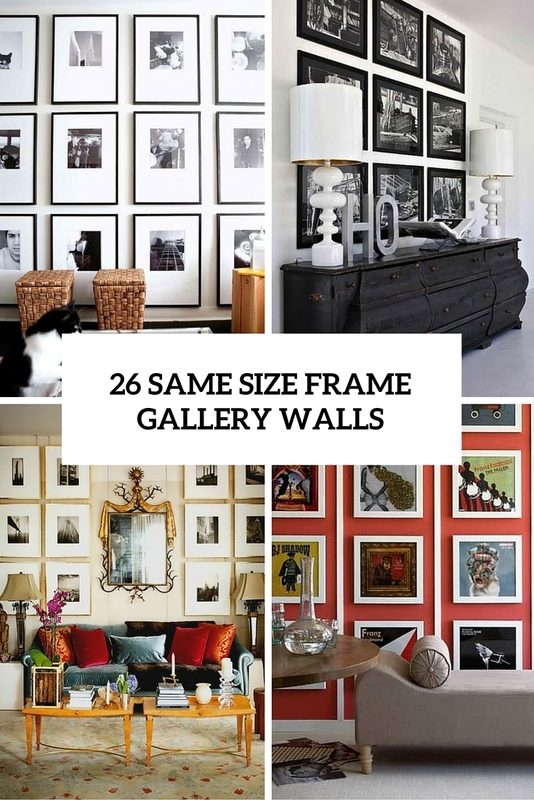 Will it be big or small? 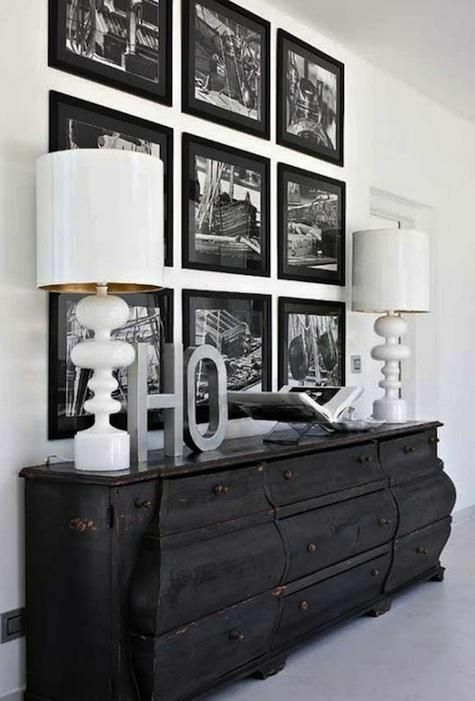 Black, white or of some other colors? 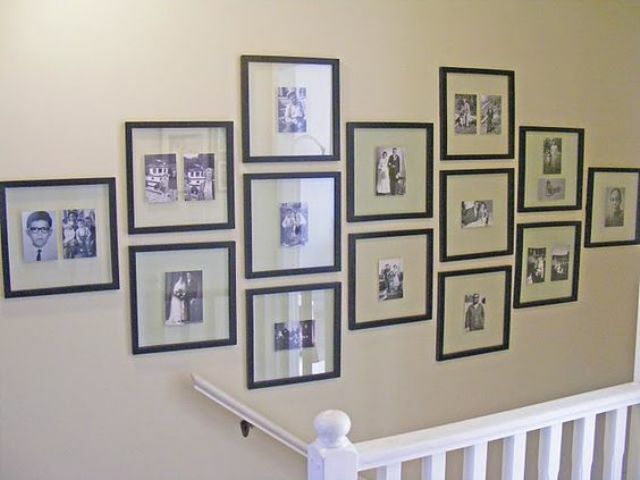 Plan your gallery marking the places where the frames will hang. 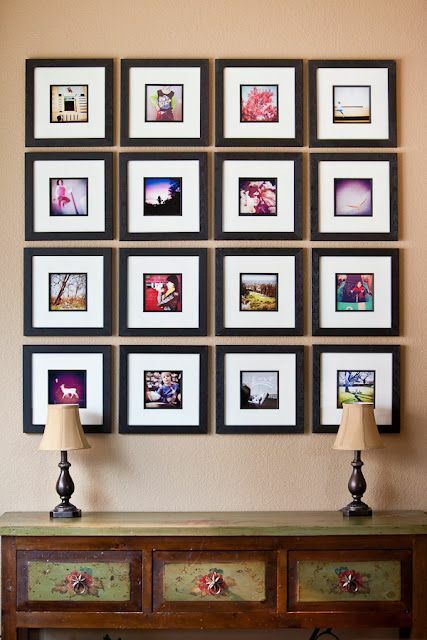 A same size frame gallery usually looks rather well-minded, and the frames are usually hung in straight rows for symmetry. 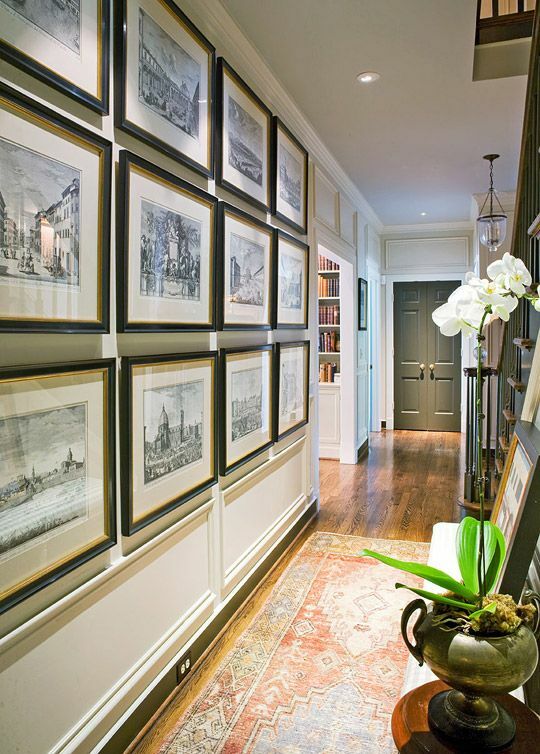 The pics or artworks can contrast with the frames or not, or you may choose light frames that won’t catch the eye to highlight what’s inside. 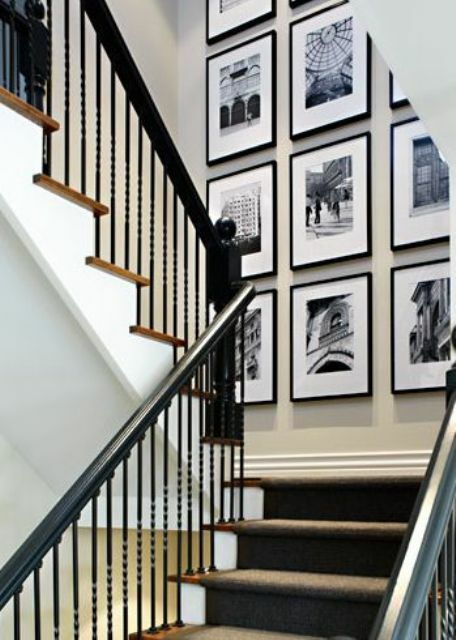 Kaufman Residence, decorated by Phoebe Howard, framed christmas card pictures on stairs----- Over a dozen black-and-white framed Christmas cards are hanging on wall over staircase.